Beautiful so simple and apt for a little girl Jodi. Lovely. What a sweet card! And I have a feeling that the love the baby feels on her baptism day will definitely stay with her! 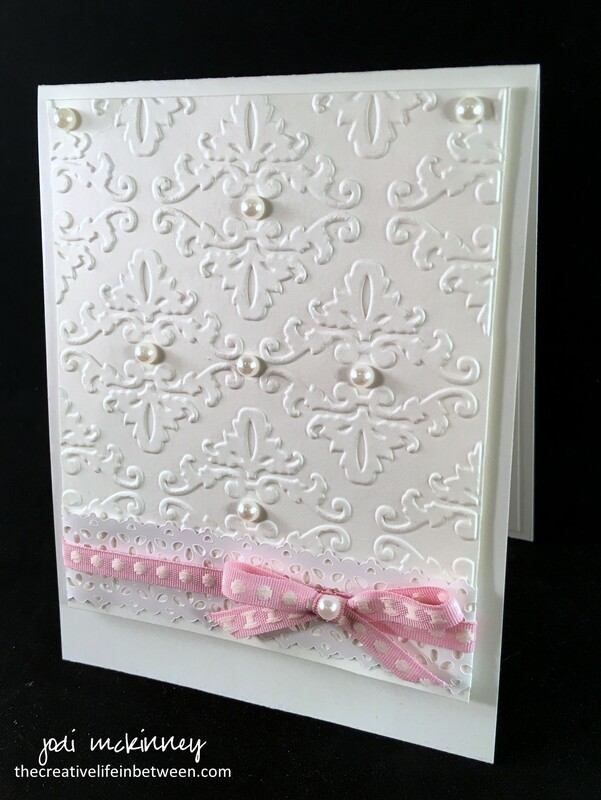 Beautiful card, Jodi! It looks great. The mobile net in the Germany is so bad I skipped this beautiful card! It’s so nice to have a card to make once in a while, right? I have this embossing folder! Very elegant for such a special occasion, great job!